Wine caves have been around for nearly 7,000 years, with the first known wine cave reported in Iran and then later in Roman catacombs. This long, rich history eventually expanded throughout Europe and all the way to our local Sonoma and Napa Counties. Some of the first wine caves in the United States were constructed in Napa and Sonoma in the late 1800’s. In 1870, Schramsberg Vineyards created Napa County’s first wine caves using Chinese laborers who recently completed work on the Union Pacific Transcontinental Railroad near the Sierra Nevada Mountains. 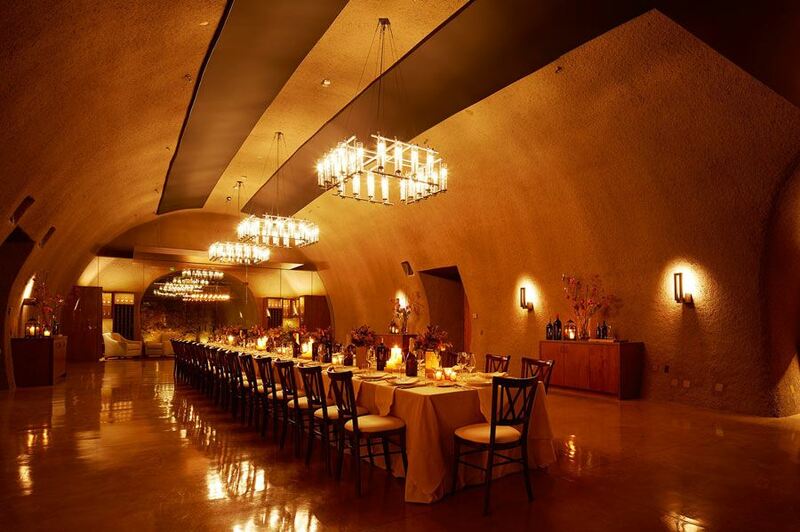 These 125-year-old wine caves near Calistoga can still be visited today. In 1877, Beringer Vineyards started construction on 1,200 linear feet of tunnels for wine caves. These caves and tunnels were hand dug and excavated- an awe-inspiring endeavor for their time. Prohibition halted wine cave construction and the modern trend did not resume until nearly the 1980’s. The historical Beringer wine caves were renovated in the 1970’s but new ground was not broken on a wine cave until 1980, when the Far Niente Winery began construction on the first cave in North America since the turn of the century. Wine caves are one of the most environmentally friendly and efficient ways to store and age wine. During the aging process, wine needs to be kept cool and in high humidity. Humidity reduces barrel evaporation. 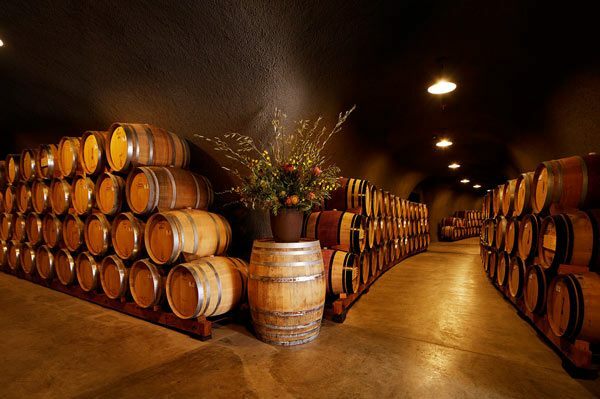 A wine cave keeps barrels at a cool 55 to 60 degrees Fahrenheit and humidity to a desired 70 to 90 percent. The decreased barrel evaporation in wine caves produces a savings of about 3 gallons per barrel per year when compared to above ground storage structures. The combination of reduced barrel evaporation and reduced cooling/humidifying costs (compared to an above-ground warehouse) can attribute to notable savings for wine producers. We love wine caves because the design and construction represent a unique application of underground construction techniques. Modern wine caves are typically constructed using one of two methods: They are either formed by being blasted out of the earth or excavated. The majority in California are excavated using a powerful roadheader to mill the rock and then reinforced with steel, welded wire fabric, and a fluid form of concrete called ‘shotcrete.’ Drainage systems and waterproofing are then constructed in order to ensure stability and protect against any unsightly water buildup. Modern wine caves are a far cry from their ancient predecessors. Modern wine caves are sleek and completely finished in concrete. Their new form adds increased functionality and marketing potential: In addition to aging and storing wines, they are also used for private events, dinners, concerts, weddings, and more. The majority of public wine caves are able to be toured by appointment and can often be visited as part of an overall winery’s tasting experience. FDC’s roots started in the wine industry. For over 40 years we have designed, constructed, and maintained all types of winery facilities. Working hands on with owners, FDC has constructed over 100 wineries ranging from the boutique facility producing a few hundred cases annually, all the way to the construction of a 160-acre state-of-the-art processing plant capable of processing 50 million gallons of fruit annually. A winery that is a work of art unto itself- FDC teamed up with the Trinchero Family to complete a new Napa Valley Estate. Construction included a 4,300 SF wine cave, hospitality center with a complete kitchen, refrigerated storage room, a state-of-the-art fermentation hall, and a beautiful stone façade temperature controlled barrel room. 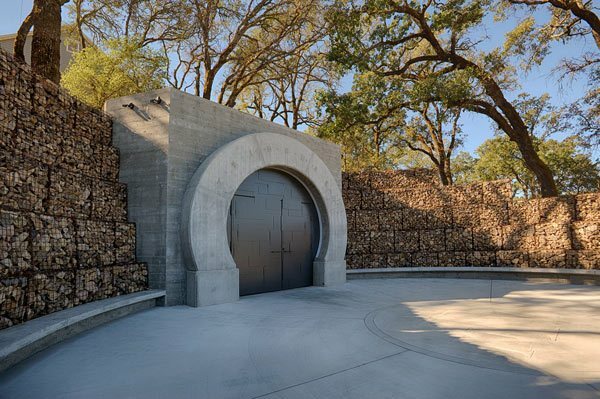 The FDC team managed and constructed the new B Cellars Winery and Wine Cave facility in Napa Valley. This stunning and unique Napa wine experience was built to produce 10,000 cases annually. The newly constructed boutique winery has a culinary center, tasting rooms, event lawns, market gardens, and a 13,000 SF wine cave, a glass elevator to a custom residence and an advanced production facility. Follow us on Facebook and stay tuned for more news on new winery construction projects and education. If you would like any additional information on our winery construction services, please call or contact us online today.